This is Eduardo Bossa on the balcony of his house in Cartagena (Colombia). 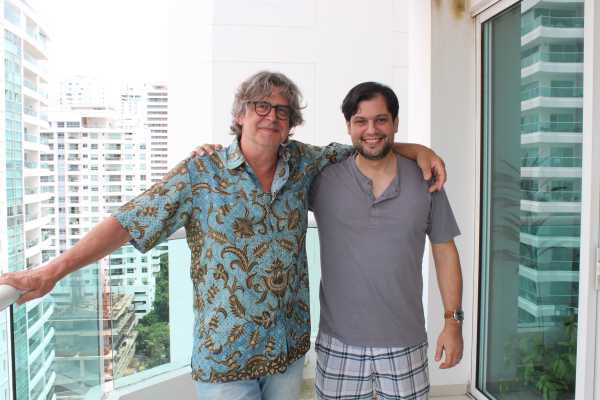 A few years ago Eduardo Bossa came to my workshop in Amsterdam where he studied classical guitar at the conservatory. 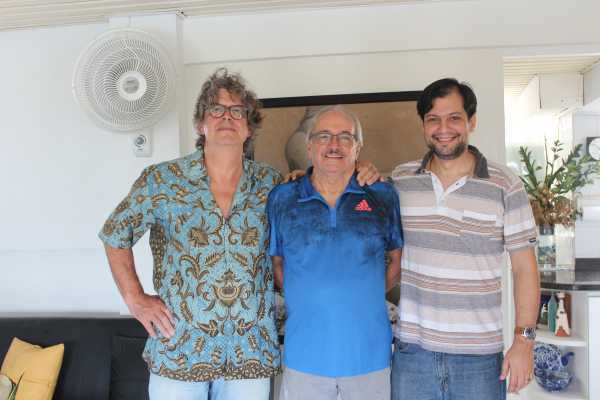 Last October, after a concert in Cartagena by Esther and the Trejos Brothers, we met again. I am a guitar maker now Eduardo said and to my surprise the visit to my workshop had been of great influence to him, to become one. The atmosphere, the work, the peace, it had all appealed to him. And in the course of time he slowly but surely started to realize he would rather be a guitar builder than a guitarist. Eduardo built a number of guitars and also does a lot of repairing. 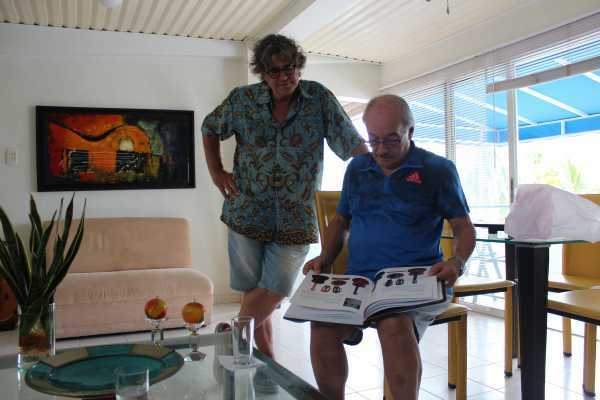 He introduced Esther and me to another Colombian guitar maker, Luis Alberto Paredes Rodríguez. He wrote a book about guitar building which was just published. Last week Eduardo sent me an email to let me know, things are going well and his website is up in the air.